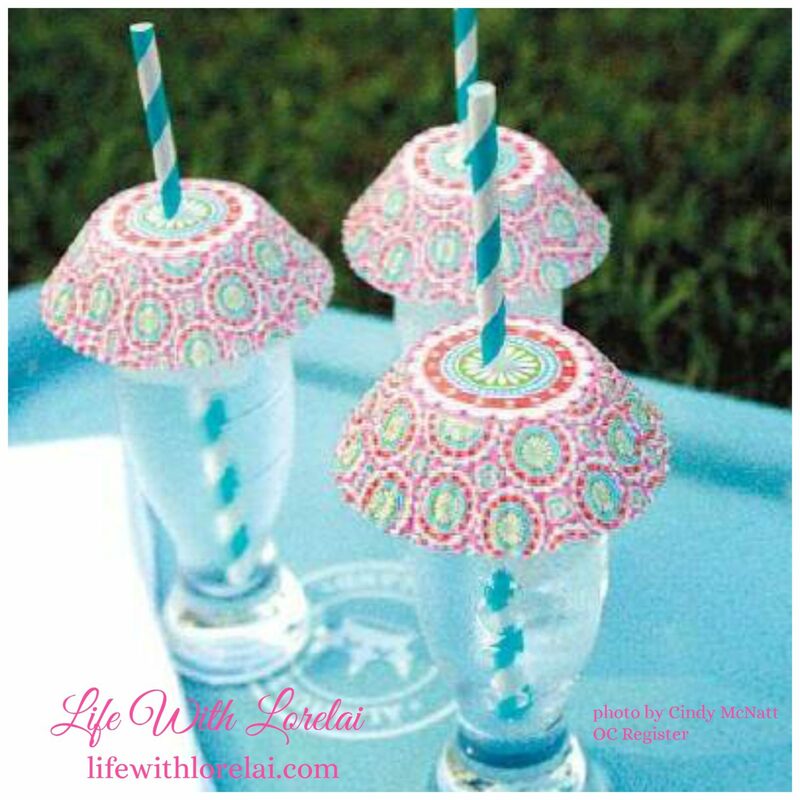 DIY Bug Umbrellas for Party Drinks – add some pizzazz to your party with this easy party decor that your guests will love and appreciate. Delightful, Whimsical, Playful – Perfect for your next party! 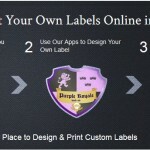 I saw an article in the Orange County Register about this clever little idea over the weekend. Look at those bug umbrellas…ADORABLE! 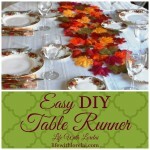 The simplicity and cuteness are perfect to brighten a table for any outdoor occasion. Who wants a pesky fly in your drink? Here’s an easy solution… add bug-proof umbrellas! Pinch the bottom of the Cupcake Liner in the center so that it folds. Cut a small triangle, just large enough for your straw to fit through. Place the straw through the hole, and invert cupcake liner to fit over the top of the glass. 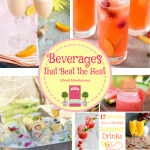 Colorful, Practical, and Fun Drink Covers! 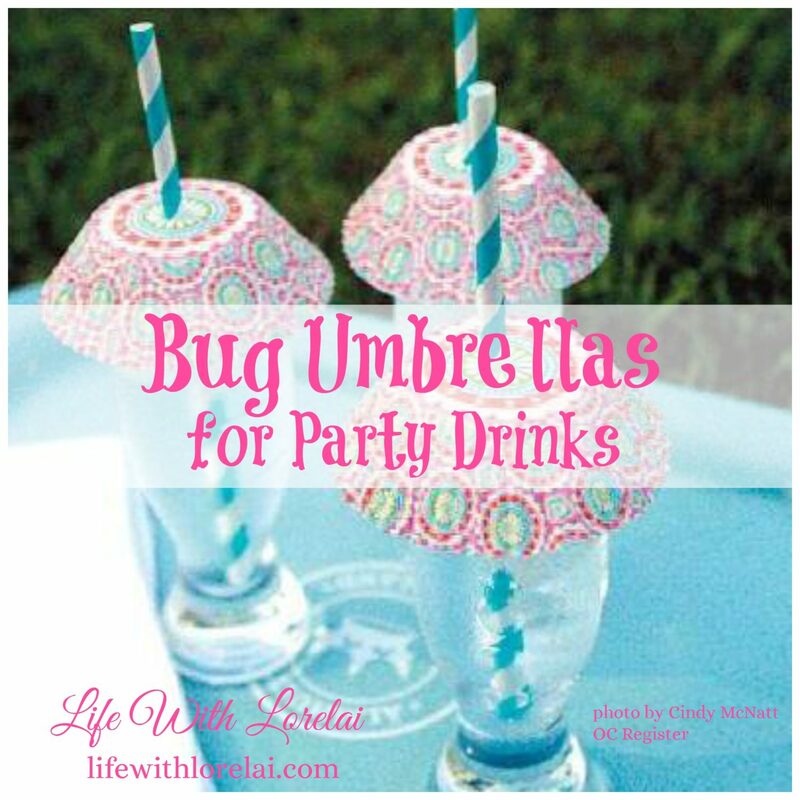 Bug Umbrellas are an easy party decor that your guests will love and appreciate. You can find all kinds of decorative cupcake liners and straws these days. I can’t wait for my next outdoor party! 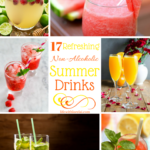 Thank goodness it’s summer; I’ll get a chance to try these very soon. What clever ideas do you have? Such a great idea! I can’t remember where exactly I saw this before, but I saw the same cupcake liners in the picture at Michael’s today LOL Great post! Possibilities = Endless !!! Aren’t they the cutest things? And so versatile with all of the designs available…child and adult. These little umbrellas are such a great idea! Love it! So simple and yet perfect! I wish I had thought of this! I am totally going to look like a genius at the next party at our farm! (I’ll be sure to send them your way when they ask!) Totally Pinning this!! Every once in while I run across an idea that seem so obvious that I wonder why we all aren’t doing it. This is one of them. So easy. So fun. This is brilliant! I can definitely use this for by the pool this summer! I’m always picking up cute cupcake liners at Home Goods…that store is addicting! Thanks for the idea! 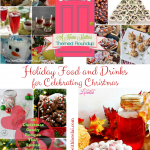 If you have a free moment, I would love it if you would stop by and share it with us at #FoodieFriDIY too! Genius! Love…. Love… LOVE this idea!! 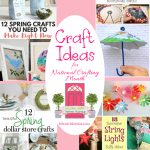 Thank you so much for taking the time to stop by the Creative Inspiration Link Party. I hope you will join us again next week, M 8p CST – W 8p CST. Have a wonderful holiday weekend!! Very exciting! Thank you, Kim. That’s such a wonderful idea. So simple, yet so clever. I’m going to be doing this for my drinks from now on when we are drinking outside. Lorelai – These are just too cute! I just had to share them. Check out my Tuesday Treasures from the Thursday Favorite Things Blog where you are featured. Cute idea! I hate critters in my drinks!